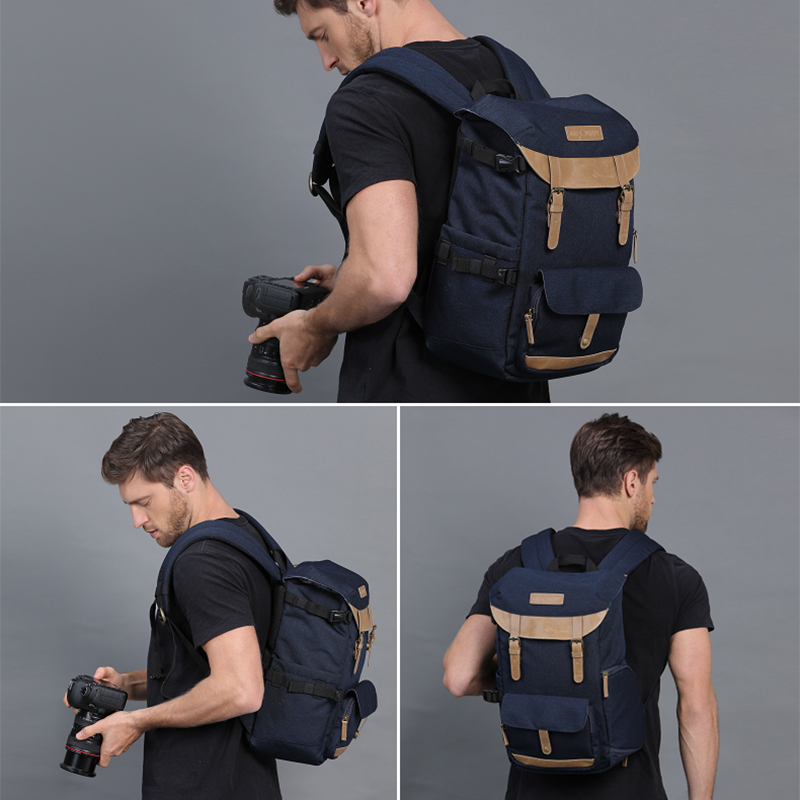 【Capacity Upgradeã€?.84"*6.29"*15.74"; Backpack can hold 1 camera + 3 lenses+ 7-11'' iPad+ Tripod,and other photo essentials. 【Quality Material】This bag made of waterproof 600D polyester,scratch resistant, tear resistant; Grey 210 lining; PE board + EPE foam divider,strong and solid, shock relief and decompression. 【Safety Design】Professional backside access guarantees the safety of your gear, anti-theft; Rightside access lets you get your gear without putting the bag down. 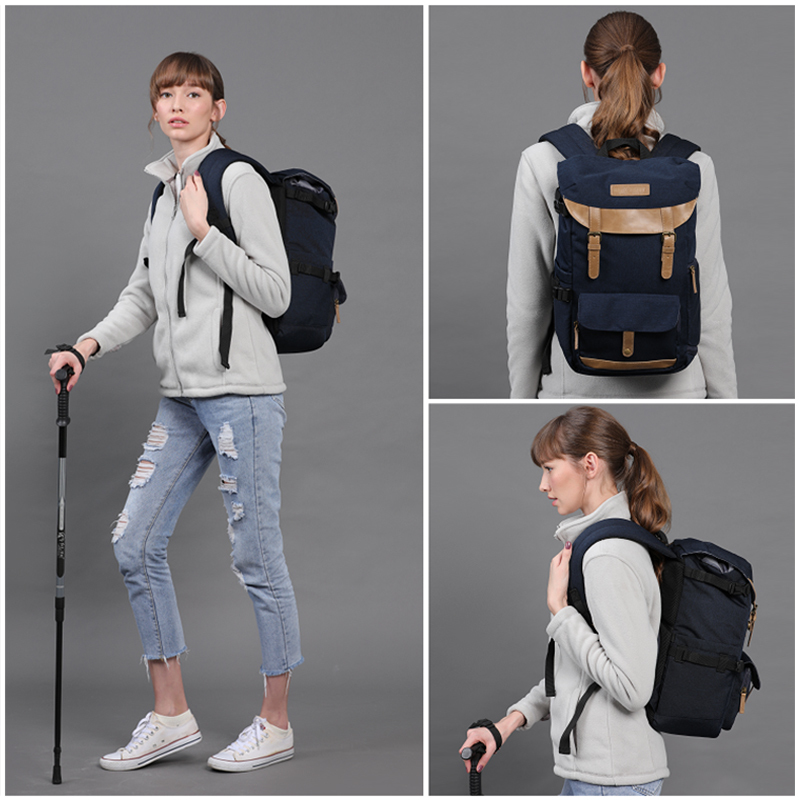 【Easy Travel】Breathable air-mesh widened and thickened shoulder strap and back; Adjustable chest belt keeps the straps tight on you shoulders,reduce weight, easy for long time travel. 【Intimate Protection】Super practical backpack rain cover,anti-dirty anti-dust,better protect your camera essentials in the outdoor.